Stack these bracelets for a bold look, or wear them separately for a touch of elegance. 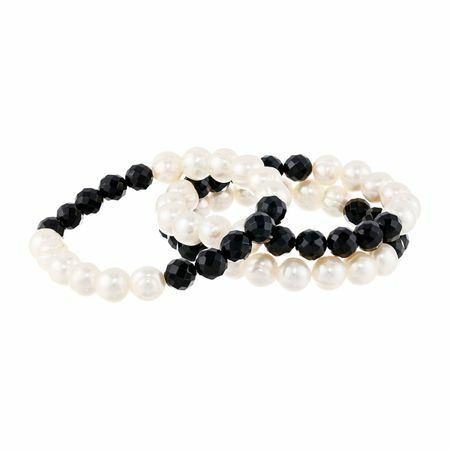 8 mm natural black onyx beads alternate with 9-10 mm freshwater ringed pearls for a classic black-and-white design that's always in style. Bracelets measure a stretchable 7 1/2 inches in length.